I finally had a few moments to finish up the SAMR “Flash PD” that was next on my list. It took me longer to figure out an idea to visually represent this model. I knew I wanted to use Playdoh® because I feel that the SAMR Model shows how technology can be molded to fit our needs. Also, it brings forth the idea that we can either be rigid or malleable in our use of technology. So, we are really looking at the flexibility of technology and the flexibility of our own ideas through this lens. 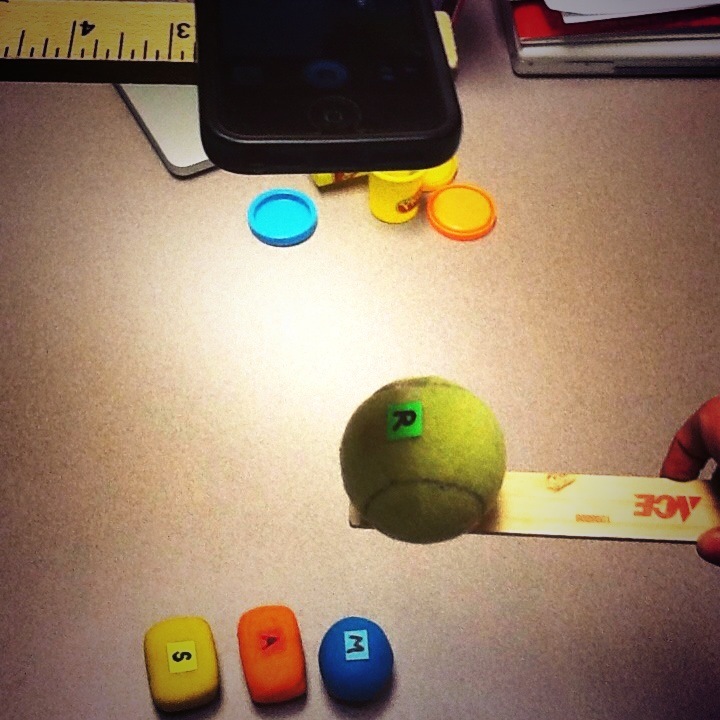 The concept of transforming student learning also brought the Playdoh® straight to my mind. Once I had the idea…and found the Playdoh® (seriously, I had to order it), it was a quick creation because my ideas were focused and I had time to process the big picture and details before I ever set the camera up. I’m looking forward to my next “Flash PD”- maybe Transliteracy? SAMR in 120 Seconds by Candace Marcotte is licensed under a Creative Commons Attribution-NonCommercial-ShareAlike 3.0 Unported License. Categories: edtech.higher.ed, PD, Videos & Other Creations | Permalink. “The presenters for this session span elementary through secondary grades and specialize in a wide range of subject areas, including art, music, ESL, foreign language, math, and social studies. What they share is a passion for incorporating technology into the curriculum in ways that lead to engagement and motivation. You’ll hear about a variety of powerful, project-based learning experiences that support Common Core standards while infusing the arts across the curriculum and providing authentic opportunities for students to collaborate and learn” (http://techlearning.com/events/techforum/chicago13/program, 2013). Check out our presentation here! Check out our presentation to-go Edcanvas here! Categories: Presentations, Videos & Other Creations | Permalink. So, I put on my thinking cap and….TPACKed my TPACK PD! So, I challenged myself. Could I explain the base of the TPACK framework in 2 minutes? With an awareness that this is not an in-depth view of the framework, I realized that I could create a “Flash PD”. A quick burst of new or refreshed knowledge. Why not?! This can easily be shown at the introduction to a PD or team meeting and be a conversation starter. Get them asking questions! I’m looking forward to creating the SAMR Flash PD next! Here’s a look behind the thoughts/scenes of the creation of “TPACK in 2 Minutes”! TPACK in 2 Minutes by Candace Marcotte is licensed under a Creative Commons Attribution-NonCommercial-ShareAlike 3.0 Unported License.